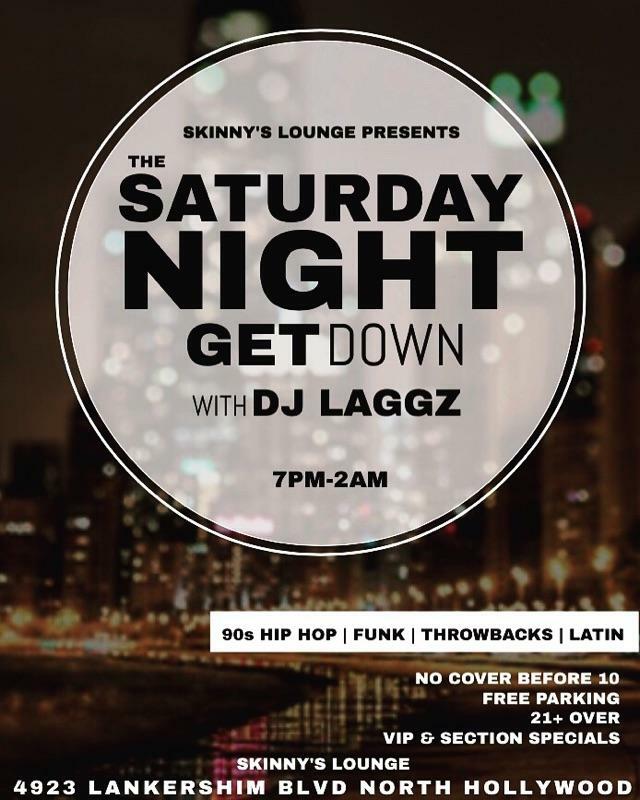 DJ Laggz takes the night over with Saturday Night Get Down. DJ Laggz takes the night over with Saturday Night Get Down. He’ll be spinning the best in Old School Hip Hop and Dance, Latin all blended together with an eclectic twist. Saturdays are guaranteed to keep you shaking and moving, and speaking of shaking, our happy hour goes until 9 PM, with our world class bartenders whipping up your favorite drinks all night.